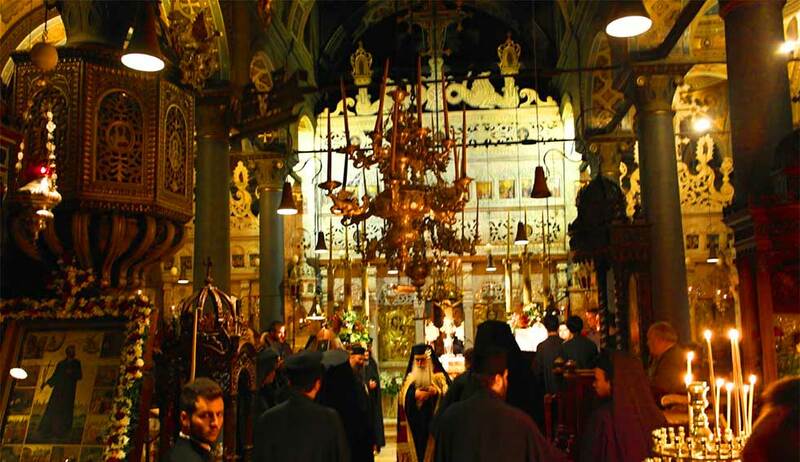 The Cathedral of the Assumption is at the center of the main port and is the Metropolis of Hydra island. The inauguration of the Temple was before the 17th century. 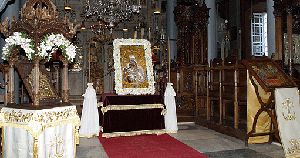 The middle row is dedicated to the Virgin Mary, right in Saint Charalambos and left in Saint Nikolaos. The Temple of the Church was constructed by the Architect Gabriel. It is made all of solid white marble with rich and intense decoration (sculptured crosses, exerga, slabs, ionic small columns etc.). 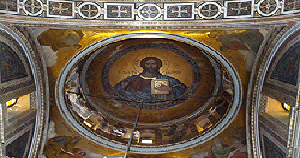 In the temple there are also icons with ornate coverings that were gifts to the church by wealthy Hydraian and naval Warriors. 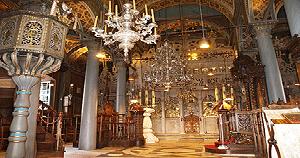 The chandeliers and oil lamps add glamor to the Temple: There are four chandeliers, the central one is the work of Kousourelis and is silver and of indescribable art. The same design style is being followed and by the two smaller in the central aisle. The most valuable and legendary exafotos (six lights) is located near the beautiful gate and had arrived on Hydra from France or Spain. It must be emphasized that all the chandeliers of the Temple do not run on electricity but with candles or oil. The church has two bell towers. The small one was erected in 1806 and the second, the bigger one, in 1874. Both are rich with marble sculptures, and the sound of large bells from the Great Bell Tower create awe and devoutness.